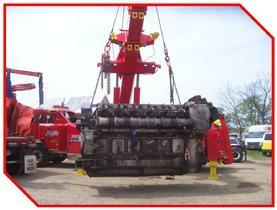 We are proud to now provide the service of our 80 ton plus 360 degree rotator. With this truck we provide 24 hour service to both local and long distance customers. 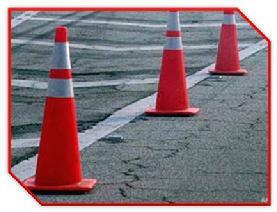 We provide traffic control on scene and utilize single lane closure for better traffic flow and less accidents. 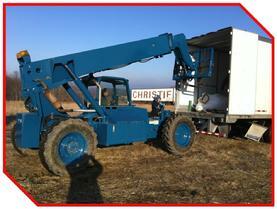 This truck also allows us to provide crane service to our customers at a cost favorable to renting a crane. 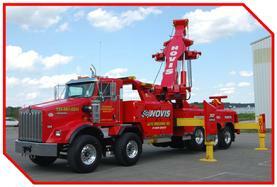 In addition to accident recovery and crane service, we offer light medium and heavy duty towing. 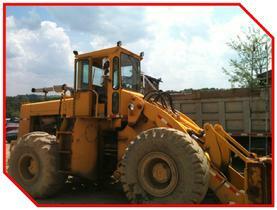 We offer a fleet of 6 heavy duty wreckers and 4 flatbeds as well as a vast array of other equipment to complete any job. We have experience and all the equipment nessesary to control the flow of traffic at an accident scene. We have an emergency response vehicle to accompany any of our wreckers and an arrow board to divert traffic safely on our own. 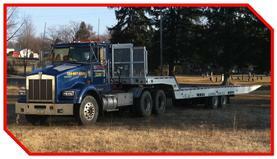 We offer landoll and lowboy services as well as the service of our 4 flatbed trucks. 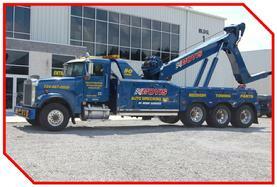 We have all the necessary equipment to provide load transfers and accident cleanup. Our equipment includes a material hauler, bulldozer, backhoe, skid steer w/ broom attachment etc., dumpbeds, hylifts, loading docks, drop yards, and the availabity of air bags.